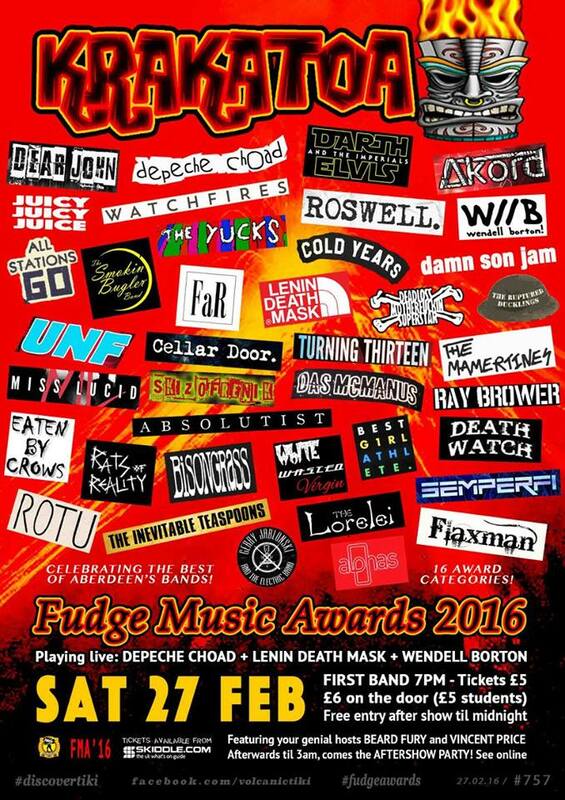 Thank you to everyone who voted for Roaring in the best album category in the 2016 Fudge Awards. You only went and did it for us. We were up against very stiff competition and are really grateful that after so many years you guys are still listening and coming to see us.